Since most businesses around the world are switching into a virtual office, the need for an advanced threat protection (ATP) becomes a necessity. We can all agree to the fact that cyber security threats have become one of the most serious challenges in the business industry to ever exist. Thus, it is important for leaders and employees alike to take precautionary measures to secure their corporate and personal data against security vulnerabilities. Why Need An Advanced Threat Protection? An advanced threat protection is a category of effective security solutions that fight against malware or any other hacking-based attacks. 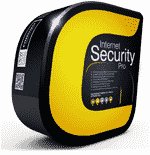 It offers three main benefits: early detection, adequate protection and response to various attacks. These attacks are designed to combat traditional security solutions such as an antivirus and firewalls. According to a report released by Malwarebytes in 2016, viruses, ad fraud malware, ransomware and other phishing schemes have accounted for the biggest percentage of attacks in the recent years. In addition to this, Malwarebytes also found out that email has become the primary venue for cyberattacks. Although the traditional steps such as data encryption, password changes and system upgrades can help prevent these threats from coming into your network, it's still safe to say that a smarter and stronger approach like an advanced threat protection is what we truly need. ATP can prevent threats before they occur. Even huge names in the business industry have no power to anticipate all possible threats, thus, the need for an advanced threat protection. An ATP offers real-time defense against all forms of security attacks. While most antivirus depend on the use of fingerprinting to analyze malware, advanced threat protection uses the method of sandboxing. This method involves the use of products that run files within a virtual instrument, effectively use to identify malware not identified by traditional inspection. ATP can help you understand different forms of attacks Featuring the use of rich reporting and URL trace capabilities, advanced threat protection allows the user to gain knowledge regarding the type of attack you're dealing with and whom among your employees are being targeted. By understanding this matter, users get the chance to find the most effective way to fight against these threats in the most effective way possible. ATP can protect you from malicious links sent via email While it is better to avoid links sent from people you personally don't know, it's not realistic to think that doing so can protect you and your employees from phishing schemes. By opting for an advanced threat protection, you can have a guarantee that malicious links won't get into your network. Most of the time, Office 365 Advanced Threat Protection is included on various subscriptions, such as Microsoft 365 Enterprise, Office Enterprise 365, Office 365 Education A5 and Microsoft 365 Business. However, if your organization owns an Office 365 subscription that doesn't include Office 365 Advanced Threat Protection, you can purchase it as an add-on. As business practices evolve to keep pace with the advancement of new technology, phishers and malware authors committing fraudulent practices also become accustomed to the new technological opportunities that present themselves. This needs to be countered by the best antivirus antispam developed using the Valkyrie cloud detection technology of Comodo. Choose ‘Admin,' then click ‘Billing' and check what your current subscription includes. If you see Office Enterprise E5, Office 365 Education A5 or Microsoft 354 Business, your organization is likely to have an advanced threat protection for your Office 365. If you see a different subscription like Office 365 Enterprise E3 or Office 365 Enterprise E1, you might want to consider adding an ATP. We can't deny the fact that cyber threats are turning into a monster we're all afraid about. When successful, these security attacks can cause minimal to serious problems in your organization - from loss of consumer's trust to financial issues and a lot more. Regardless of the software you're using, there's an advanced threat protection perfect for you. 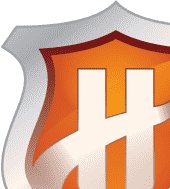 Comodo's advanced threat protection features containment technology, an effective tool to prevent zero-day threats from infecting your system. 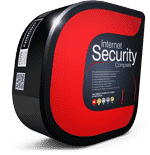 Comodo's advanced threat protection is integrated on its Dome Suite to protect the users from all major forms of security threats. Also, this special feature allows users to access their files while analyzing contents for possible malware detection, thus, resulting to industry growth and effective system security. Visit our website at https://enterprise.comodo.com/anti-spam-gateway to know more about Comodo Antispam Gateway. 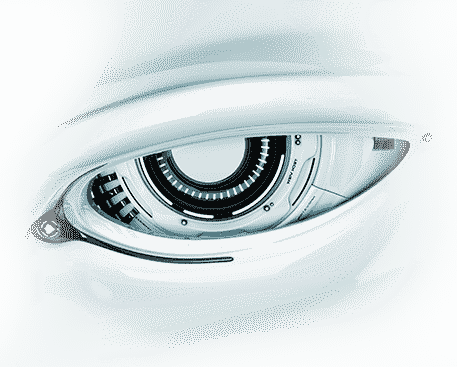 Secure your organization's future with the help of Comodo's advanced threat protection.